Whenever I have to refill my kids prescriptions, it is the biggest headache. I can’t even tell you how many times it’s been messed up, dropped or has taken twice as long. As a result, I have spent hours on the phone to get a simple task done. That is why when I heard about Phil, it was like a light at the end of a very long dark tunnel. 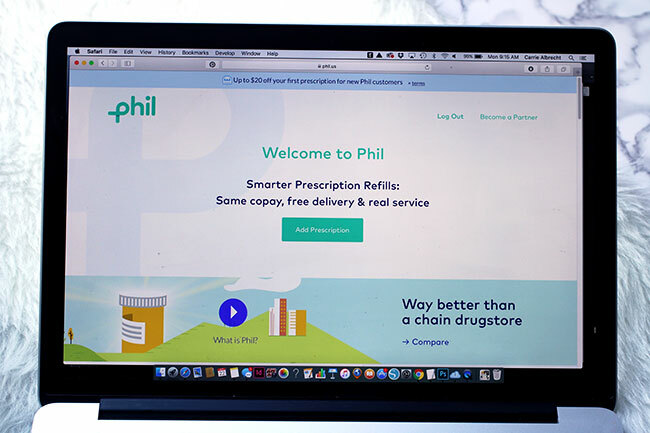 Phil is a prescription refill service that delivers your ongoing prescription medications right to your door on time. They also answer any questions over the phone, and most importantly, deal with the heavy-lifting of interacting with doctors and insurance so you don’t have to sweat it. 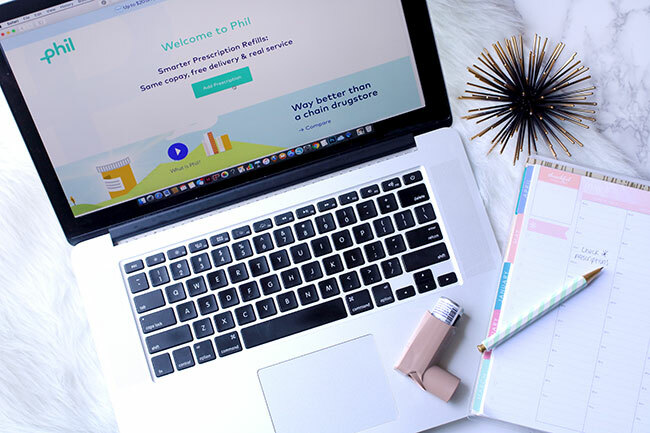 I have comfort in knowing who I am working with for our prescriptions, because Phil partners with top-rated, locally-owned pharmacies that are licensed by the Pharmacy Board. When my kids were young, we found out that they both have allergies and asthma. It’s a lot to deal with, especially since we had some emergency visits and my daughter even had to stay in the hospital once for her asthma. Thankfully we found an endocrinologist for them and they were put on daily medicine to control their asthma. 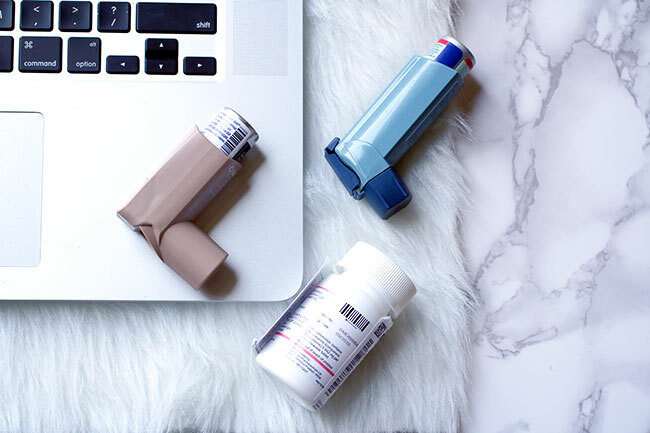 Our emergency visits are far and few and I can breathe a little easier when they are sick or during allergy season, because of these medications. They are 8 and 11 now and I don’t think they’ll ever grow out of their asthma, but at least we know we can manage it now. Phil’s #1 priority is to take the management burden off the customer, which is why I am switching my family to their service. My kids allergy and asthma medications are important and it is something I don’t want to have trouble ordering or receiving on time. Their daily inhalers are quite expensive, so I always need to make sure that the insurance is put in correctly and they aren’t ordered when we don’t need them. Sometimes the doctor puts in a prescription to keep on ‘hold’, yet the order is put in and we can’t return it! These inhalers may be $400 for a 3 months supply at the beginning of the year, so you can see why I’d be upset to receive an order in the mail that should have been on hold! 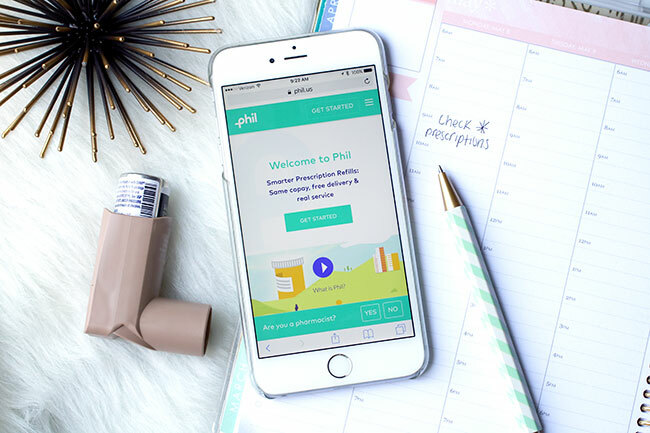 Phil solves the frustration of juggling pharmacies/doctors/insurance, which saves me A LOT of time and worry! Thankfully with Phil, the Smarter Prescription Refill service, I don’t have to worry as much. 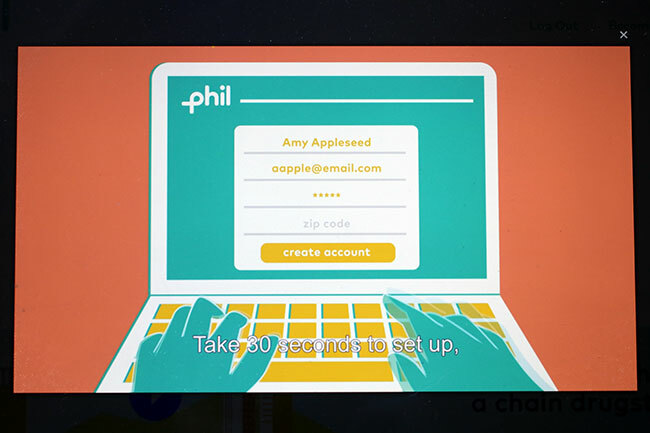 Phil contacts your old pharmacy and your insurance and doctor does all the paperwork for you. It is easy to sign up for Phil online and you can check your order within minutes. Phil works with most insurance plans. Delivery is free and your refills will be delivered to your door ON TIME! If you are not 100% satisfied, Phil will gladly transfer you back to your old pharmacy. If you physically drive to the pharmacy, you can say goodbye to those monthly trips to the Pharmacy and hello to more time in your day to day! Healthcare is personal and should be rooted in community, which is why Phil partners with independently-owned community pharmacies that are highly-rated for their exceptional customer service. I think it is important to shop local when you can! Phil is a new service that is quickly expanding to service all 50 states.